It's All A DRAG! - explore queer performance through drag, burlesque, gender performance and play! 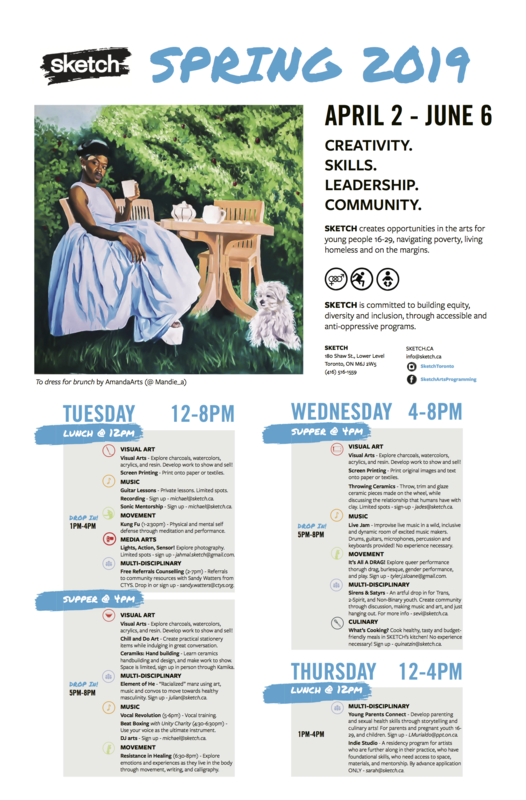 Young Parents Connect - Develop parenting and sexual health skills through storytelling and culinary arts! Indie Studio - A residency program for artists who are further along in their practice, who have foundational skills, who need access to space, materials, and mentorship"